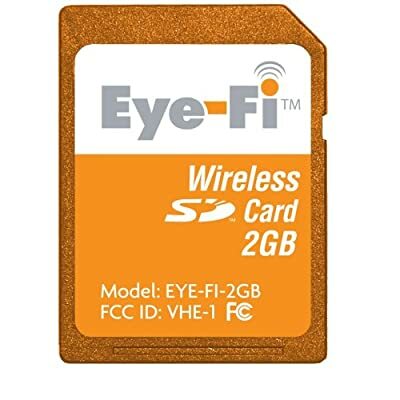 I believe the perfect gadget has just been released in the Eye-Fi wireless SD memory card. This amazing little gadget combines a 2GB flash memory SD card and a full-blown Wi-Fi adapter into one tiny bundle. With this bad boy in your camera, you can take pictures and wirelessly upload them to your computer or one of a bazillion web hosting sites (like Flickr, Facebook, Vox, Picasa, etc. With them selling for under $100, I just may need to get two. Grandma and Grandpa may just get one for Christmas. The time saved in not having to be the camera jockey every time someone in my family fills up a memory card could be priceless. This entry was written by T.J., posted on November 15, 2007 at 12:41 am, filed under interesting, web/internet and tagged gadgets, SD, wireless. Bookmark the permalink. Follow any comments here with the RSS feed for this post. Post a comment or leave a trackback: Trackback URL.